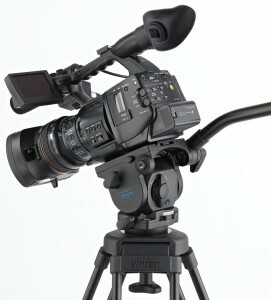 Sachtler, a Vitec Group brand, presents a new fluid head specially designed for DSLR filmmakers. The Cine DSLR has a payload range of 2 to 11 lbs (1 to 5 kg) and is thus ideal for state-of-the-art digital single-lens reflex cameras with HD video function. A counterbalance in ten steps as well as three vertical and horizontal grades of drag allow for professional operation. 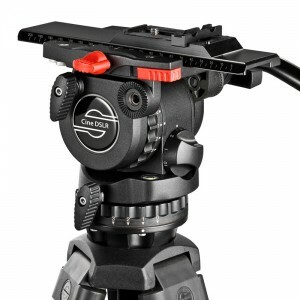 In addition, the Cine DSLR comes with a special camera plate with an anti-twist retainer for HD DSLR cameras. “If a video-enabled DSLR is being used for filming, precise panning and tilting are only possible with fluid heads equipped with a corresponding tilt range. And it also requires well-engineered damping,” explains Barbara Jaumann, Product Manager at Sachtler. For smooth horizontal and vertical pans, the new Cine DSLR fluid head works with the fully developed technology of the big Sachtler heads: The 3-step damping is based on the patented Sachtler damping system. “In comparison to other manufacturers, our fluid heads in this payload range offer extremely soft and finely graded damping,” says Barbara Jaumann. The new Cine DSLR fluid head works with Sachtler Speedbalance technology that enables a fast and target-oriented counterbalance of the camera set-up. The long sliding range of the camera plate as well as the self-illuminating Touch Bubble are practical features of the new head. The Cine DSLR has a tilt range of +90° to -75°. The Cine DSLR is lightweight, compact, and easy to transport. It has a robust metal housing that dependably protects it from exterior influences. Thanks to the special Sachtler lubricated oil damping, filming is also possible in extreme temperature ranges, as the damping is not negatively influenced by them. With the Cine DSLR, Sachtler offers professional photographers and filmmakers alike an authentic, professional fluid head for filming with video-enabled DSLRs. 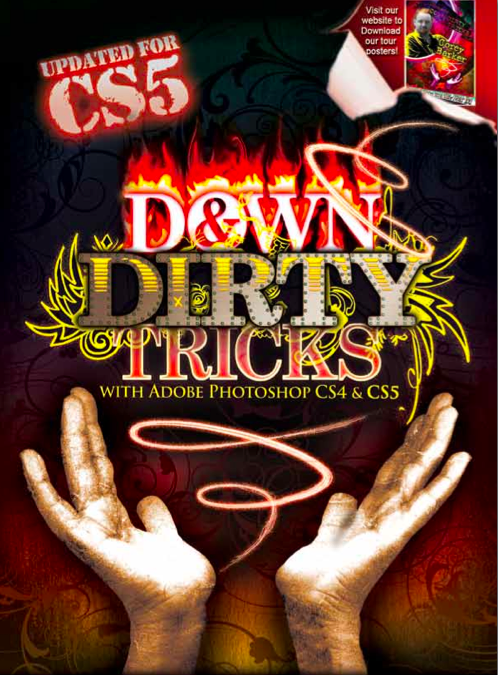 Having recently upgraded to the CS5 suite of Adobe products, I decided to attend the Kelby training for Down & Dirty Tricks for Adobe Photoshop CS5. It was an “All Day” seminar with classes beginning at 10 am and ending at 5pm. The seminar was conducted Corey Barker a instructor part of the NAPP (National Association of Photoshop Professionals). They covered designing and working with photos in Photoshop including layers and compositing effects, designing with type, and several sessions on tips and tricks with Photoshop CS5. They showed the tricks on how movie poster effects and magazine ads are made with using your photos and Photoshop. For $100 for Non NAPP members, it was a great deal. I learned quite a bit and further honed my Photoshop skills. I also decided to join NAPP. With membership, you get discounts to places like B&H photo, Apple and others as well as free access to training, technical support for Photoshop and a great Photoshop magazine that has 8 issues a year. By signing up at the conference, I also got free DVD tutorials and book valued much more that the price of the two -year membership. If you are interested in learning more about how to use Photoshop, I highly recommend taking one of these seminars. You can find more about them at www.kelbytraininglive.com. Vinten®, a Vitec Group brand and a global leader in camera supports, is launching its new Vision blue at IBC2010. This new, competitively priced pan and tilt head and tripod system is designed to provide the experienced camera operator with professional support to match the extremely high-performance of today’s popular small lightweight camcorders and DSLRs equipped for video. Vision blue addresses the need for a broadcast quality tripod system capable of genuinely balancing the smaller, lightly accessorized cameras, managing payloads between 4.6 – 11lbs (2.1 – 5kg) with a low center of gravity of approximately 55mm. The Vision blue head incorporates Vinten’s innovative and award winning Perfect Balance technology, an integral part of Vinten’s existing Vision range, which enables consistent movement and easy positioning of the camera at any angle helping operators to achieve perfect shots with minimal effort. It also features infinitely adjustable Vision LF drag technology for silky smooth movement and precise framing. This functionality has never before been available for such light cameras, and will bring a new consistency of movement to every user. The Vision blue is sold as a pan and tilt head, or as complete system with a two-stage aluminum tripod and a choice of floor or mid-level spreader. It also includes a high contrast blue LED illuminated leveling bubble for quick and accurate set-up in all lighting situations. “All camera operators and professional videographers want the same thing: smooth, predictable and controllable movement; fast set-up; and a reliable product,” said Peter Harman, Vinten product manager. “With Vision blue, we can now bring true Vinten Vision performance to users – ensuring for the very first time – that operators of the smallest professional cameras can work without creative compromise. We know this is something the market has been waiting for and we are delighted to be able to showcase the Vision blue for the first time at IBC2010,” concludes Harman.